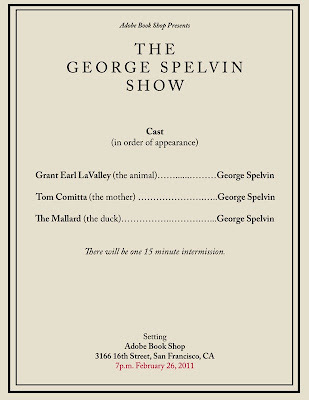 Adobe Books and the Backroom Gallery are pleased to present The George Spelvin Show, the first of three monthly performance nights. This Saturday's event includes "A Night At The Opera With Hosni Mubarak Hosted By Dave Eggers" and live music by The Mallard. Hope to see you there! Stacked/multiplied follows The 770 Show as the second phase of a two-part series and curatorial endeavor that builds its concept from Adobe Books as a potential site of artistic production and exploration. A group of emerging and established artists were invited to develop new work based within Adobe's categorical arrangement, and develop a dialog surrounding the relative qualities between art multiples and book publishing. The main interest of the project lies in the accretive collection of second-hand books at Adobe that have become a record, if not an archive, of our contemporary, entropic experience of information. The proliferation of books en masse, and the dialectical tension of order and disorder are both intended as framework for the exhibition. At the outset of the project, the exhibition curators, Devon Bella and Katie Hood Morgan, mapped the store according to all of the labeled sections, including arrangements such as 'Self-Help', 'Science Fiction', 'Architecture'. 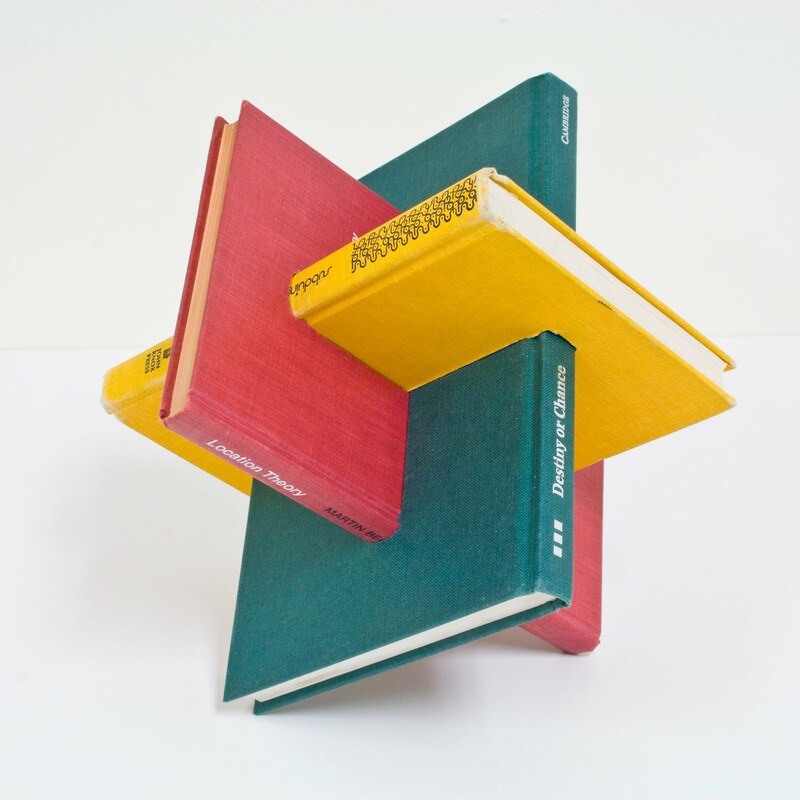 The objective was for each artist to choose a section (or sometimes more than one) for reinterpretation, whether it was a single title in the stacks or all of the subject contents in visual and/or physical forms of a multiple, grouping, or small collection of artworks. With such work in mind, a specially-designed shelving system, created by artist Winston Morris, was built for the gallery to house the pieces, where they may, or may not appear in their original groupings. The intent of this system was to further the premise of exploration into the gallery, where the installation of the works and the curatorial process could raise questions around arrangement and contextual conditions of display. Support for this project is provided by Southern Exposure's Alternative Grant Program.